All Bluff homes currently listed for sale in Bluff as of 04/23/2019 are shown below. You can change the search criteria at any time by pressing the 'Change Search' button below. If you have any questions or you would like more information about any Bluff homes for sale or other Bluff real estate, please contact us and one of our knowledgeable Bluff REALTORS® would be pleased to assist you. "Great Bluff home with land. Mature trees and plenty of space. Located right on the main street. Great opportunity." "BLUFF RETREAT Unique and beautiful, this ecologically constructed multi-residence retreat is nestled below Comb Ridge in historic Bluff, in the heart of ancient ruins and natural beauty in all directions! This exquisite property is comprised of two homes on a beautiful .92 acre parcel, ideally suited to those who love to retreat to canyon country and share their enthusiasm for the outdoors with friends and guests alike. Post and beam construction, strawbale insulation, beautiful stained concrete and natural rock floors, amazing built-in details, niches, and alcoves, curved lines and soaring ten foot ceilings, gorgeous color and amazing Talavera tile throughout... the homes offer a sense of peace and calm, but also a soothing and artistic celebration of the region! 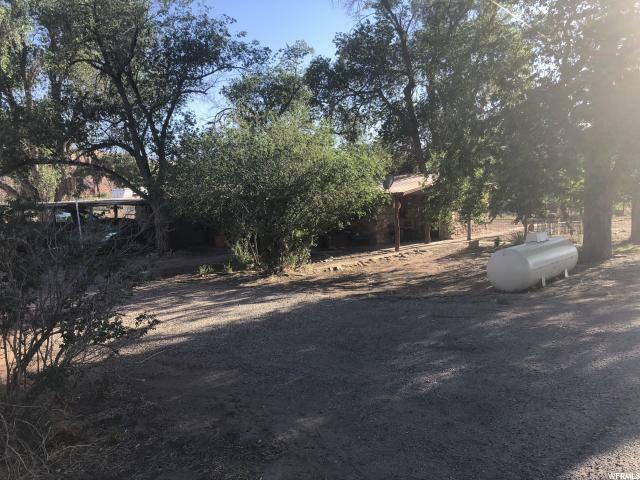 Tucked just a few minutes from the main through-way for your convenience, on a quiet, private road, the property is comprised of the two residential structures. The main house features two beds and 1.5 baths on the main floor. Open space, incredible natural light, and easy access to the outdoor living areas make this a home you will love to return to, time and again. There is a spectacular architectural detail, a beautiful turret-style tower, which is designed as an additional private bedroom suite with deck and bath. This space is accessed from a private staircase, making it an amazing independent space for guests. A gentle stroll along beautiful, curved pathways leads you to the guest house, a sweet four bed, one bath space that offers an easy living floorplan and beautiful 'bones' to continue to fine-tune the tiny details to perfectly suit your style and taste. You could choose to make either structure your main home, with the other providing a perfect home-base for friends, relatives, or guests. Finally, the grounds themselves are a special haven in the desert, offering stunning viewlines toward the rock structures that frame Bluff. 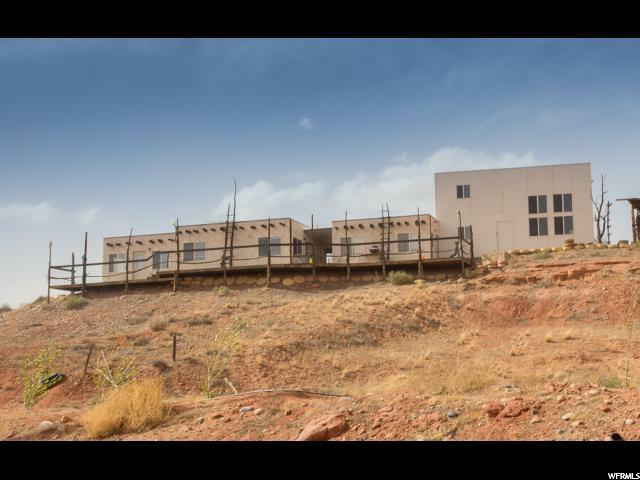 You are perfectly situated to explore the hallmarks of the region, fro"
"Enjoy the view overlooking the stunning red rocks and the quaint little town of Bluff, Utah with its rock homes. You are perfectly situated at the front door to the Bears Ears Monument, Monument Valley, Valley of the Gods and Canyonlands. 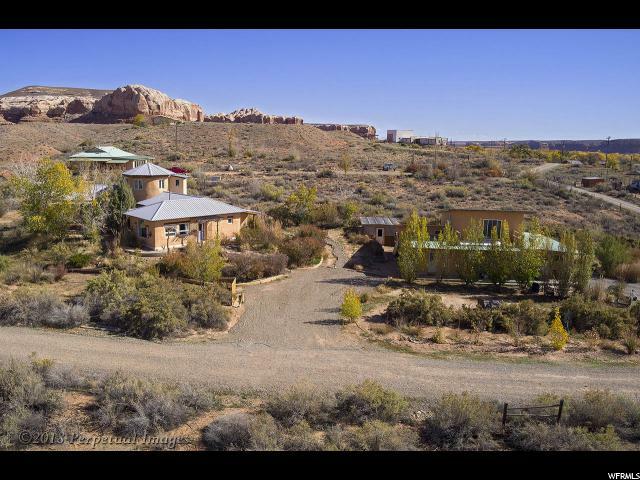 You are within easy driving distance to Mesa Verde and Arches National Monument. Enjoy year round living with family and friends or use as a income property. There are 2 independent living spaces along with the 2 RV hookups. Over sized garage with large tall doors, bathroom and workshop area with storage/art studio above. An Electric lift to get items up to the storage. The opportunities for this property are unlimited!!" "BLUFF Bargain! A sweet home or vacation retreat. Sunsets from the back patio will make your heart sing. Hiking, rafting and outdoor adventure await you. Bluff's popularity and land values are sky rocketing. Don't miss your chance at this adorable, affordable place. 24 hours notice to show please. Tenant occupied. Square footage figures are provided as a courtesy estimate only and were obtained from the County Records. Buyer is advised to obtain an independent measurement."